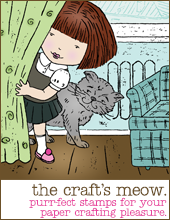 Welcome to The Craft's Meow July release blog hop. All 5 new sets are now available in The Craft's Meow store. You should have arrived here from Amy's blog. On my card today I used stamps from the new Vintage Baby stamp set. 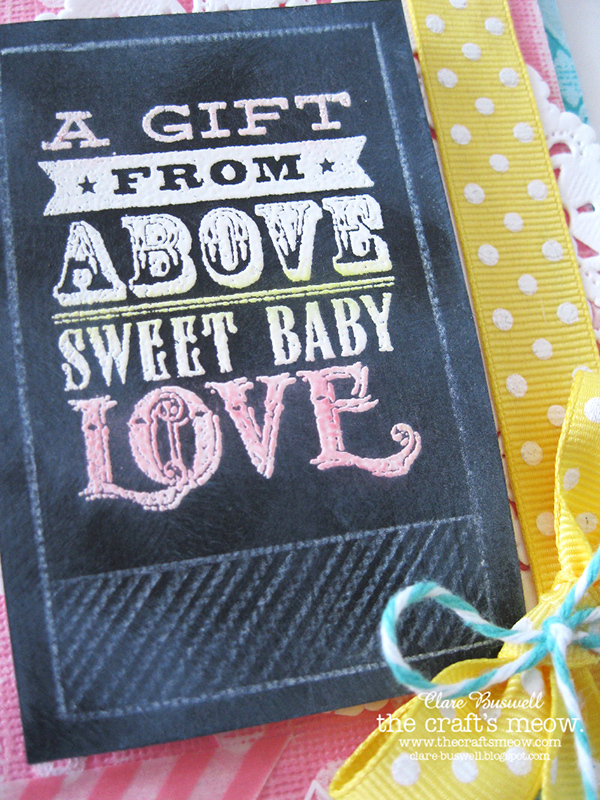 I love the chalkboard look and the sentiments in this set really lend themselves to this trend. I stamped the sentiment using VersaMark ink onto some black cardstock and heat embossed in white. Then I rubbed the surface randomly with a white pigment ink pad. I also added some white "chalk" lines using a white coloring pencil. I like to add a bit of color so I used some blending chalks over some of the text for a subtle touch of color. I love your card. Your color combo is wonderful. TFS. Fantastic card. Love the chalkboard effect and how you used the white pencil. Pretty card - love the way you used the chalkboard technique. Some of my teachers did use colored chalk to highlight important topics on the blackboard! So pretty and love the chalkboard technique. 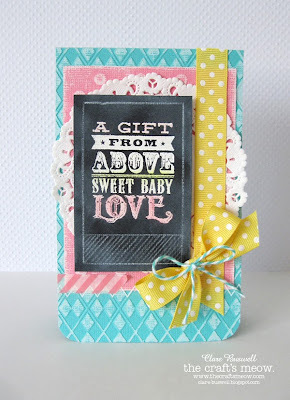 I love this Vintage Baby set and your card is pretty with it!! Neat card! Love the colors and the neat chalkboard effect. Thanks for sharing. Wow this is STUNNING! I've seen chalkboard techniques a lot, but this one really stands above the crowd - I think it's the swiping of colored chalk onto some of the text. I'll have to try that! Gorgeous! This set is my favorite of the new release. What a sweet card, love the colors. How adorable this is! I love the chalkboard sentiment and the way you colored it! What a great idea to color in some of the chalkboard letters to add interest! This is such a pretty card! Wow what a great way to showcase that new chalkboard trend! Gorgeous card! I love love it! Have a great day! Great idea adding that touch of color to the sentiment. Beautiful card. Oh my! What a gorgeous card! Your sentiment is fun and I like how it does look like a chalkboard. I like that you added color and made it look more like chalk. Thanks for telling how! Nice card and I like the stamp. I love the colors you chose to highlight that chalkboard stamp! Love it! ADORABLE project! Love the chalkboard look you created! I agree with you that these sentiments are perfect for the chalkboard effect. 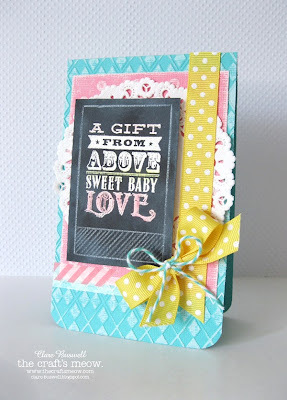 What a lovely card creation! Thanks for sharing with us! Great card! Like the layering and love the chalk design lettering.